The resource rich African continent is once again being targeted by foreign interests. With The People's Republic of China deeply embedded with regional governments and warlords, the West is carefully studying the situation while prepping its military. May 2019, the tradition of Alpha and Bravo continues with military VIPs as Company Commanders. Alpha will be led by retired Delta Force/Ranger CSM Mark Collazos (Black Hawk Down) while Bravo will be led by retired Ranger Hall of Fame recipient MSG Howard "Mad Max" Mullen. 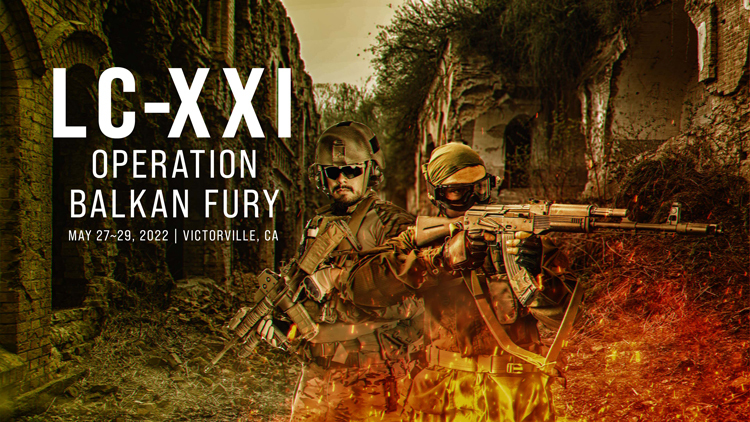 Gear up and get ready for a showdown of forces at Lion Claws XVIII - Sovereign Nation.